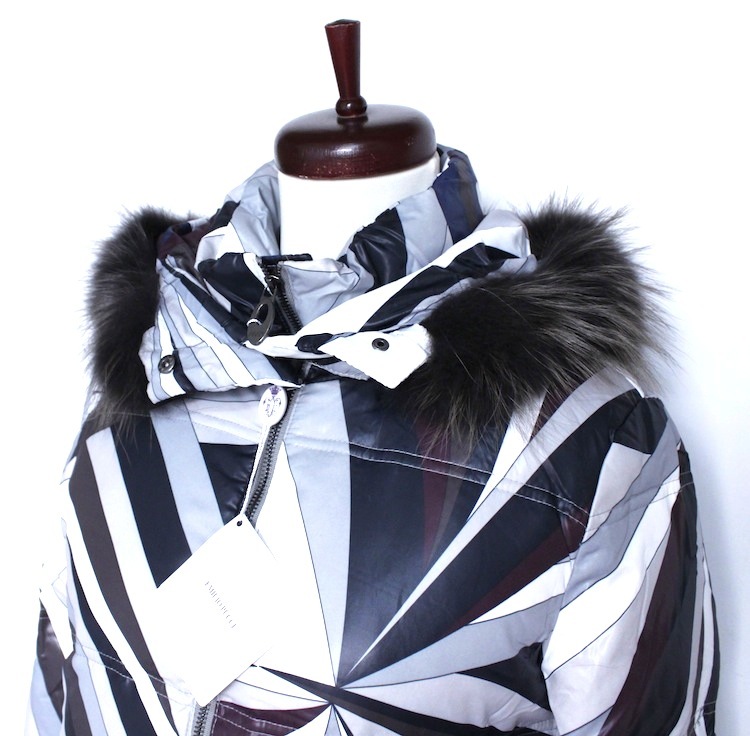 70%Polyester 30%Nylon. 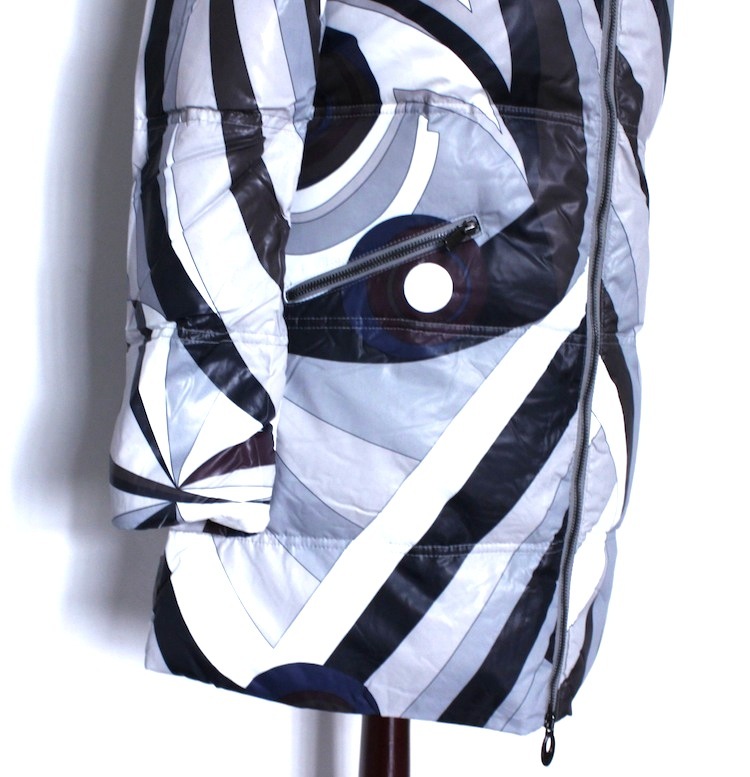 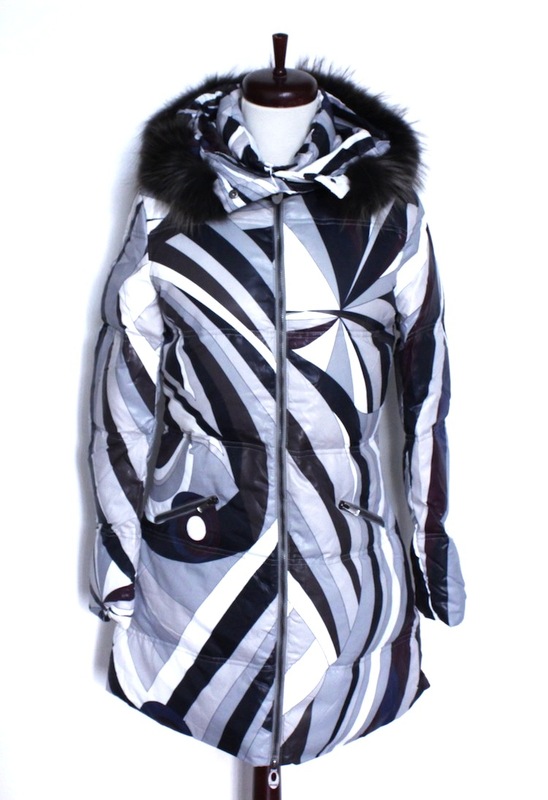 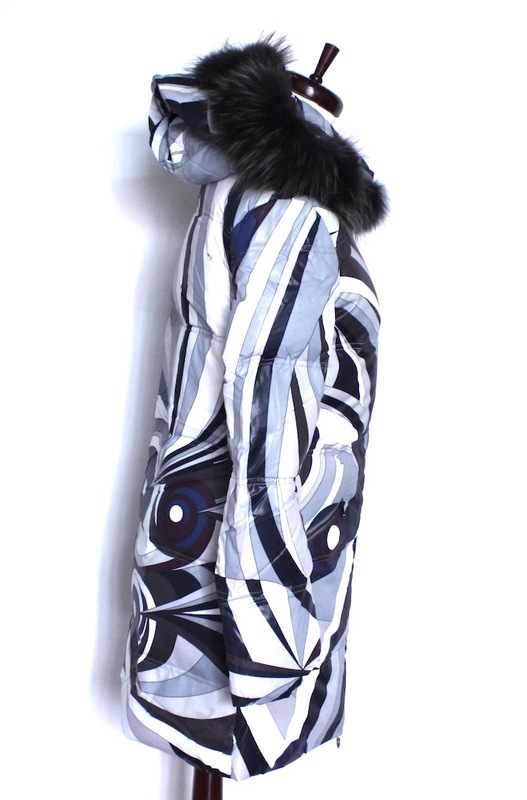 Add high style to your cold weather look with this ultra-chic down coat. 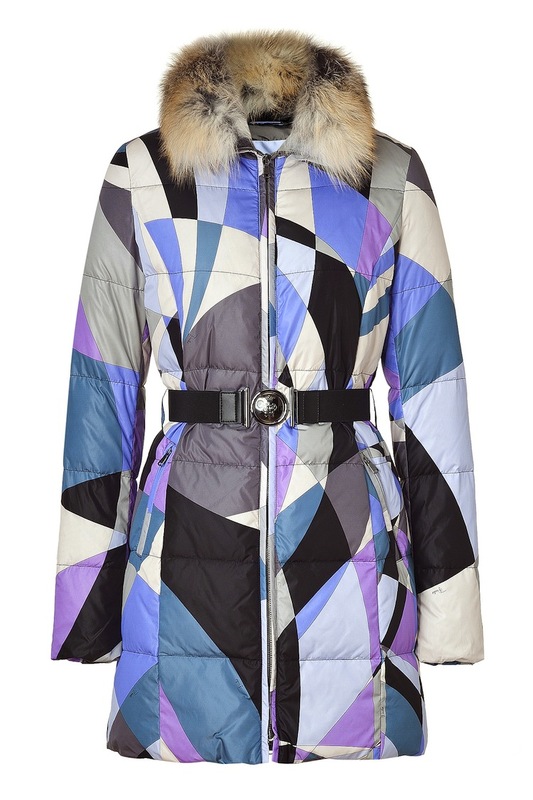 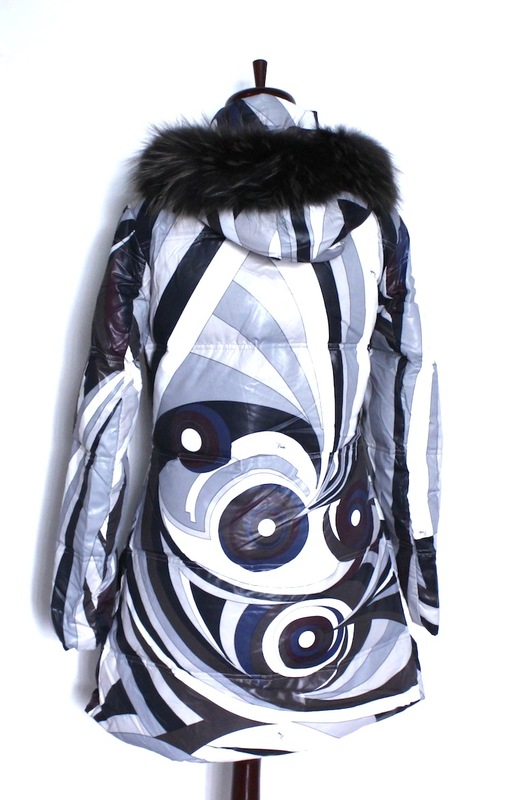 Fur-trimmed spread collar, long sleeves, front zip closure, elasticized waist belt, quilted. 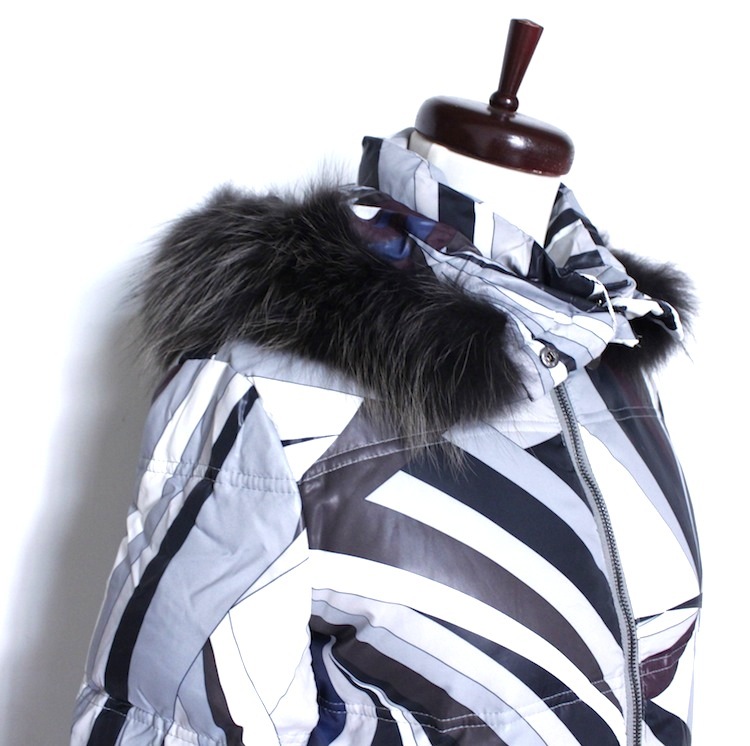 Wear with skinny jeans, a cashmere sweater, and shearling ankle boots.